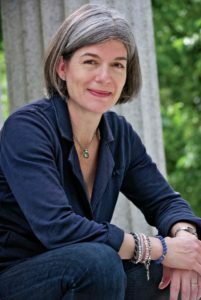 Claire Messud is the author of six novels, including The Emperor’s Children, a New York Times bestseller that was shortlisted for the 2006 Man Booker Prize. 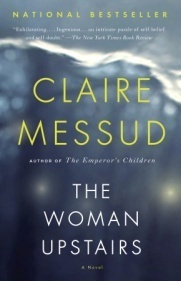 Her sixth novel, The Woman Upstairs, was released by Knopf in April 2013 to much critical acclaim and a long listing for the Canadian Scotiabank Giller Prize. As December temperatures plummeted Melody Nixon caught up with Claire Messud over the phone about fiction, philosophy, and that comment about the “likeability” of literary characters. Melody Nixon (MN): Let’s begin with an ending. The final paragraph of your latest novel, The Woman Upstairs,is one of the most breath-taking final paragraphs I’ve read in a long time. You manage to reverse the protagonist’s condition with just one page. That which is holding Nora Eldridge (the protagonist) back, and crippling her, becomes her fuel. Did you know this was the way the novel would end when you set out to write it? Claire Messud (CM): I knew where the plot would end. I was uncertain how [Nora] would take it. I knew what would happen to her but I didn’t know entirely how she would react. Writing a book is also about getting to know people better. When I set out writing Nora’s story I was unsure of whether at the end she would be free. MN: While I was reading the book I kept thinking: “How is Nora going to get out of this? How are we going to get out of this?…” as we travelled deeper and deeper into a distorted reality. But in the end Nora does get out. CM: Different people read the book differently and some people aren’t convinced that there’s been a liberation, but for me that is the case. I certainly want for Nora to be free. It doesn’t mean she won’t create other distorted realities along the line. But through the course of this relationship [with her new friends, the Shahids] she has to let go of fantasies – that’s a good thing – but she also has to let go of, or transcend, some of her worst fears. MN: Nora is a regional character, to my mind. For want of a better term, she has very WASP-like qualities. There’s a lot of construction of a particular self-image, a lot of moderation of her feelings. Do you think she is a regional character? CM: Obviously, we are who we are because of the sum of our experiences. We are who we are because we are where we are when we are. My hope would be that [Nora] is specific to the world she has come out of. But at the same time I, as a writer, always believe that the only way to the universal is through the specific. And so I would hold that she’s an everywoman. The social web is largely carried and constructed by women. There is a complicated shaping of yourself to fit into that web. This happens from [a very early age] and it happens all the way through [life]. Obviously, everybody has an interior life and a self that they’re not showing to everybody and not showing all the time, but I can say with authority that for women to come to some sense of who they actually are, and to be able to have the inside idea of themselves correspond to the outside expression of themselves, [that] can take a long time. A very old friend of mine – we met when we were 17, and now we’re 47 – she said to me the other day, “I finally feel as though I am myself most of the time.” And that’s been work, it’s not as though that just happened. She’s had to learn all sorts of ways to actually figure out what she thinks in a situation, rather than giving people what they want. MN: One quote that really struck me in The Women Upstairs occurs near the end, when Nora says: “If nobody at all could or would read in me the signs of worthiness – of artistic worth – then how could I be said to possess them? How could I convince myself, against the whole world’s determination?” Do you think that for an artistic woman the pressures of “self-making” are harder and more complex to negotiate than for a woman who does not wish to follow an artistic path? CM:Yes, I think that’s true. In part because the very undertaking is non-conformist. When you say, “I want to make art,” you’re saying, “I want to do something that is apparently useless.” It doesn’t have an immediately appreciable value in the world. In life it’s [considered useful to]: be productive by earning money, or taking care of others, or any of a host of things that have some visible productivity in the world. [If you] say “I’m going to make art,” after the fact people might be glad that you made it, but before it’s made, when nobody has any guarantee of what it will be, it isn’t anything measurably worthwhile. To take that step… is a gamble. It involves a lot of faith in yourself and confidence. MN: Is that why you included the story arc of Nora moving to New York City and doing a stint as a high-flying management consultant? Was she dabbling with becoming a “productive person,” in the conventional sense? CM: That is a big part of it. Practically speaking, one of the things I’ve noticed is that many of my kids’ teachers are people for whom teaching is a second career. Often [they were working] in finance, in banking, in high-flying positions. They did it for a few years then chucked it in because it wasn’t right for them. I also have a number of friends who are writers and artists, who started out on Wall street, or in business school or law school, and dropped out, because in the beginning they thought they could do what their families wanted them to, and then realized that actually they just couldn’t. MN: And this is the case for Nora? CM: How does Nora end up who she is and where she is? Why is making art so hard for her? For me at least, the legacy of what her mother has taught her is: Your financial independence is more important than anything. You can’t be somebody’s wife. The most important thing [is] that you stand on your own two feet. From when she’s very small, Nora has a sense that part of the tragedy of her mother’s life – as Nora constructs it certainly – is that she wasn’t financially independent. That [lesson] is not easily commensurate with becoming an artist. MN: Financial independence and productivity are generally prized over artistic creation, as you mentioned earlier. CM: If you know what you’re supposed to do is be a productive member of society, and financially solvent and independent, that’s totally at odds with wanting to be an artist. And maybe you can just follow the pack and not be an artist. Maybe you can put that aside. You know, when I’m teaching writing I always say the to the students, “If you can not write, don’t. If you can have as good a life, and feel fulfilled without writing, don’t. Why would you?” Some people – who are very talented – can be as happy not writing. And then there are the people who can’t; it’s how they stay alive. MN: Another quote from The Woman Upstairs: “Life is about deciding what matters. It’s about the fantasy that determines the reality.” When you’re constructing fiction characters, is there always a fantasy world with which your characters must wrestle? CM: The simple answer would be “yes.” In so far as there is any abiding preoccupation of mine in my writing, I think it is the question of the relation of our subjectivity, both to other people, and to the external world. The German Romantic philosophers believed we have no access to anything except our subjectivity. The ‘tableness’ of the table is a moot point; all there is is “my table,” and “your table;” the table that we each separately experience. We both operate as if there is an external table, but for all intents and purposes, we can’t be sure and it doesn’t matter. In any human interaction, in any relationship, there is no such thing as transparency. Any conversation is always partial and limited by the confusions and distortions within ourselves, and within the other person. MN: I thought you wove the theme of subjectivity very cleverly through the novel, in symbols and motifs; the recurring mirrors such as the mirror-shards in Wonderland, the recording and replaying of images through video cameras. There’s a repeating idea of being alone, and of having the self reflected back at you. CM: I think of [subjectivity] as if there’s a puzzle and we’re given sometimes half, at the most three-quarters of the puzzle pieces, and we have to fit them together and make a picture. We project the missing pieces to make the picture whole, that’s how we understand what has gone on. Yet somebody else can take the same puzzle pieces and make a different picture. The epigraph that I used for my last novel, The Emperor’s Children, was from Anthony Powell’s A Dance to the Music of Time: “It’s not what happens to you, it’s what you think happens to you that matters.” I feel as though this constant dance to try to figure out what actually is going on is what it is [to be human]. MN: Your novel is set in New England but three of its main characters are foreign. Why did you choose to have foreign characters in the book? CM: Skandar is Lebanese and Sirena is Italian, they live in France. 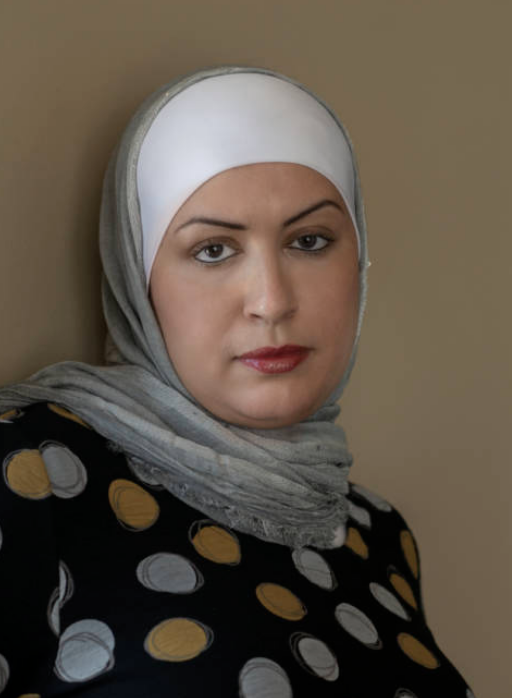 A Lebanese friend of mine said to me the other day, “I just want to know, seeing as they don’t behave very well – why did they have to be foreign? Why couldn’t you have made them American?” I said, “They couldn’t be American because they give Nora the whole world. They give her the whole world in a way no American ever could.” We live in Cambridge [Massachusetts], people are very privileged [here], it’s a wonderful place to be a kid, yet many of my children’s friends don’t have a passport and have never left the country. And that’s in the most privileged segment of American society. America is vast and diverse and amazing, but one of the things about its vastness is that it’s easy not to look beyond its borders. So I wanted the characters to be not American for that reason. MN: Why did you choose to make Skandar Lebanese, specifically? CM: Skandar’s work is not on the history of ethics but the ethics of history, and the question of ‘the puzzle pieces’ [to which I referred earlier]: How do we construct a narrative? What makes it true or not true? Isn’t every story a fiction? Isn’t every story wrong? If you think about the civil war in Lebanon, and the complexity of identities there, it’s a fascinating fulcrum for these sorts of questions. 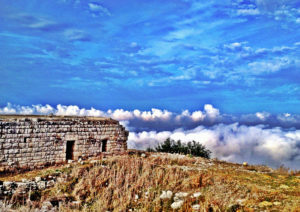 Lebanon is home to one of the oldest civilizations in the world. There’s this very long and imbricated history where at times it’s been a model of tolerance and cosmopolitanism, and at other times, the opposite. Not in any prescriptive way, [I wanted] to have in the background of the story some sense about how the questions of subjectivity, and identity, and authenticity, are both microcosmic and macrocosmic. That there’s [an element in the story] of the individual, that each of us is struggling with, but that also groups, tribes, nations, are all struggling with, also. MN: In your short story “Koala” in issue No. 05 of The Common, you write in regards to the koala at the center of the story, “I’m not sure I ever liked him.” I’ve been thinking a lot about “likeable” characters versus “unlikeable” characters lately – particularly given your interview in Publisher’s Weekly earlier this year that discussed the topic. Is it possible to have a “likeable” character who is also fully and realistically rendered? CM: I suppose I just reject the category. It makes no sense to me. Likeability doesn’t mean anything. If we could all get together and agree on something we liked, that [thing] would be the most anodyne and bland [thing possible]. “Is a character likeable?” doesn’t seem a responsible question. [Let’s] think humanly — when I go to meet a person, I go not asking the question, “Is this person likeable?” I go with an open mind and hopefully an open heart, ready to see what comes. Some people are more complicated than other people; some people are harder to get to know. And yes, a few people are frankly dislikeable. But in the scheme of things, that’s a small percentage of people, in my experience. The number of people who are immediately likeable is a very small number also. And that they’re likeable to me doesn’t mean that they’d be likeable to you. Thank god we all have different tastes. Another response, which I didn’t give [in the Publisher’s Weekly interview], is that if you met Nora Eldridge, she would be the most likeable. She has spent her whole life being the most likeable, at tremendous personal cost. This is the time, this is the moment when she takes off the mask. This is when she shares the thoughts and experiences that she has shared with no one. So the very idea that anyone would accuse her of not being likeable for that seems highly ironic to me. Because it’s a book precisely about how that is what’s required of women. MN: That is highly ironic. CM: Literature that’s worth something is not about being appealing; it’s about being true. And sometimes, that’s about being… uncomfortable. That’s part of the deal. This issue has come up a lot at readings I’ve done, and one thing that’s come up a number of times is how excited we are for difficult women characters in film or television. When characters are embodied in “real,” warts and all, it is thrilling to us. 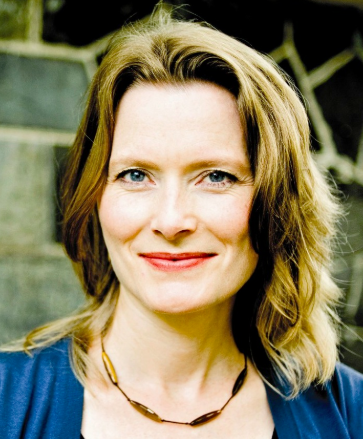 MN: It was thrilling to me to meet a female literary character as full of contradictions and rage as Nora Eldridge.We’ve talked a lot about the self, the making of the self, and subjectivity. You yourself have lived all around the world — in Australia, Canada, the United Kingdom, and the United States — and you hold three different passports. How important is place to your identity as a writer? CM: Place is very important to me as a writer. To my identity as a writer, it’s complicated, because I have a complicated history of places. Not long ago I was at a dinner and I was sitting next to an Armenian man from Syria, who grew up in a household where they spoke five languages. He said, laughingly, “Each language is a different person.” And I think, place is complicated. It’s not just that you’re a different person in a different language; you’re also a different person in a different place. [This goes] back to where we started: we are who we are because of where we are, when we are — but [I would add] — with the sum of all the places we’ve been before. Melody Nixon, a New Zealand-born writer living in New York City, is the Interviews Editor for The Common. 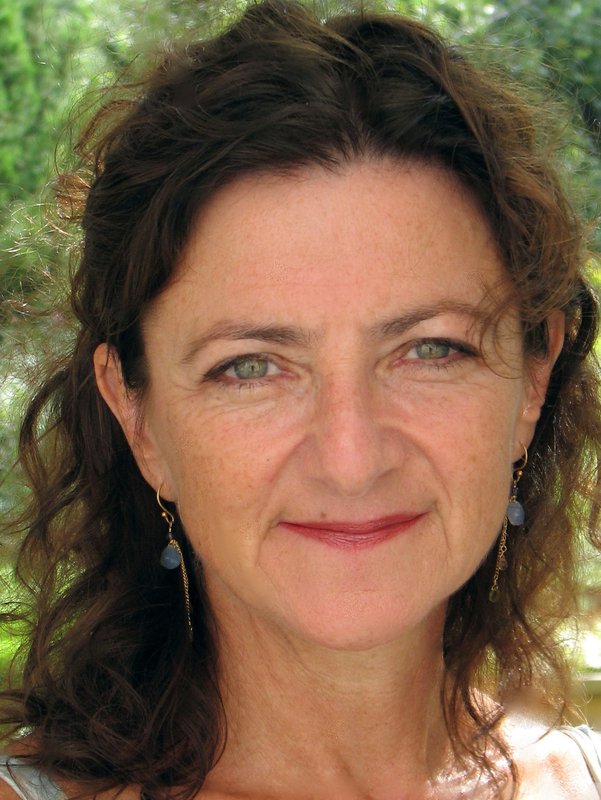 Photography credits: headshot of Claire Messud by Lisa Cohen; photo of Lebanon by ZBechara from Flickr Creative Commons.